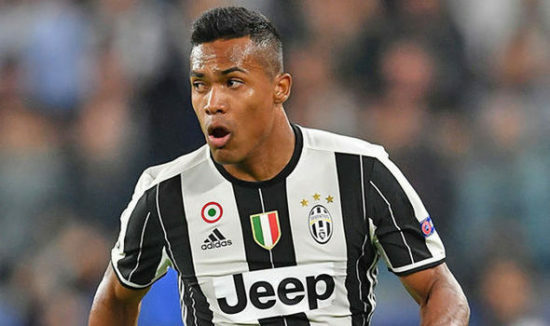 Brazilian defender, Alex Sandro continues to be linked with Premier League champions, Chelsea even though an offer of £60 million was rejected by Juventus in the summer after blues failed to match his asking price of £80 million. Reports in Italy suggests the Blues might be back with an offer in the region of £50 million in the January transfer window with reports indicating the defender is unhappy after falling out with key members of the club and might be ready to part ways with the Italian champions. Chelsea boss, Antonio Conte wants to bolster his defensive options ahead of the second half of the season after falling 14 points behind Premier league leaders Manchester City who have only dropped two points so far, this season. However, English based Italian Sport Journalist, Gabriel Marcotti insists he doesn’t believe Juventus will sell the Brazilian defender and he also does not see Chelsea bidding for Alex Sandro in the winter transfer window after his recent displays. “Alex Sandro of course in the summer, a lot of talk about Chelsea offering vast sums,” He also added. “You’re talking £65, £70, £75m and a year ago he certainly was on that level. “But he’s having a very poor season this year, at Juve often Asamoah plays ahead of him. “As I see it, I don’t see why Juve would let him go. “They want to hang onto him and try to get him back to the level at which he was at. With the 26-year-old falling down the pecking order at Juventus so far, this season, it is left to be seen whether the Blues will return with a huge bid in the winter transfer window. He has featured in 15 games across all competitions scoring one goal and providing 4 assists.